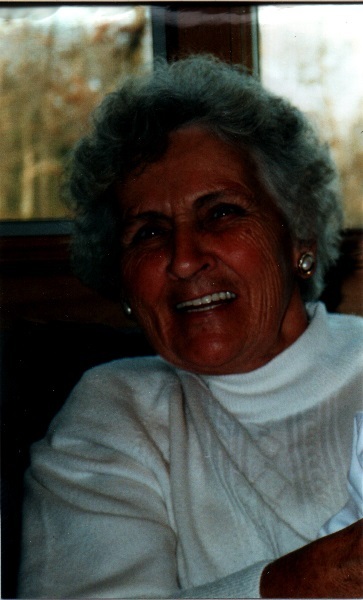 Obituary for Helen F (Gribbin) Rose | Brown Funeral Homes, Inc.
Helen F. Rose, 96, of Burrillville, passed away peacefully with her loving family by her side on January 17, 2019. Born in Rehoboth, MA, she was the daughter of the late Daniel and Hazel (Brown) Gribbin and the loving wife to the late Edward Rose. Helen was a Burrillville resident for 37 years previously living in Cumberland, RI. While in Cumberland, she worked for the former Healthtex Co. for 20 years, retiring in 1984, at the age of 62. She was a member of the Rosary & Altar Society at St. Patrick’s Church in Harrisville. Helen is survived by and will be greatly missed by her son Edward Jr., her daughter, Patricia Russell, both of Harrisville; 4 grandchildren, Dawn Fiore, Sharon Barber, Alan Russell and Heather Stockwell; and 9 great grandchildren. Besides her parents and husband, she was preceded in death by her brothers, Daniel and Francis and sister, Gladys Mulligan. Her funeral will be held Wednesday, January 23, at 8:30 AM, from the Brown Funeral Home, 1496 Victory Highway, Oakland with a Mass of Christian Burial at 9:30 AM, in St. Patrick’s Church, Harrisville. Interment will follow in St. Patrick’s Cemetery, Emerson Road, Harrisville.